Enrollees in the University of La Verne online MBA program have access to the same curriculum and faculty as students who study on the physical campus. The degree has no on-campus requirement, but new students are highly encouraged to make an initial visit for a face-to-face meeting at the start of the program. 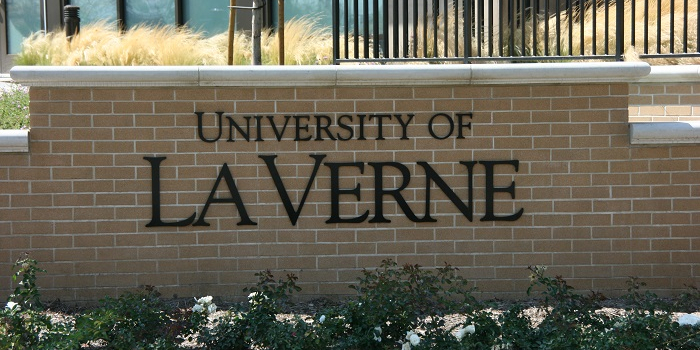 The University of La Verne is a wonderful option for the experienced professional who has a tight schedule. What kind of student usually enrolls in the University of La Verne online MBA program? The University of La Verne Online MBA attracts the same students as our on-the-ground Master of Business Administration for Experienced Professionals program. Typically, the student is about 35-years-old with a wealth of work experience and a very busy schedule between work and family. The breakdown is 54% women and more than 50% minorities. Students are in mid management or in a supervisory role with a bachelor’s degree in business and an undergraduate GPA of 3.2. Do students live near campus or at a geographical distance? Most of the online MBA students come from our service areas in La Verne, Orange County, Burbank, Ventura, Bakersfield, and San Luis Obispo. Some are military students who came to us through Point Mugu in Ventura County. How much time (if any) is required on the physical campus? None. The entire program is online, but students are encouraged to visit the campus and meet with the faculty prior to the start of each term. Is there an area of academic concentration that is most popular or that the program is known for? The most popular concentration is Management and Leadership. The online program has three concentrations: Finance, Management and Leadership, and Marketing. How accessible are faculty? How can online MBA students best communicate with faculty? The faculty is accessible to students via email, phone, through office visits, or online forums. Some faculty members hold optional meetings with online students on the weekend. What opportunities exist for online MBA degree-seekers to network with their peers? We have an online community for all of our MBA students with a special page for online MBA students. The community allows students to post their resumes, job opportunities and to communicate with each other. In addition, we have a tradition of team work in every class and students are required to introduce themselves via a discussion board at the beginning of every class. Is there a career services office or other professional support system for students? We have a dedicated advising office for online students and students have access to our career services like any other La Verne student. What post-graduate support does the university offer online MBA alumni? The career service office provides support for life to all of our graduates. Can you share any words of advice for potential University of La Verne online MBA students? The online program is not for everybody. To be successful, students should have excellent written skills, be self-driven, motivated, good time managers and versed in technology. The online program is time consuming and works best for visual learners.